In a bowl, crush the beans lightly with a fork. Add the tomatoes, chillies, onion, chopped coriander and 2-3 tbsp oil. Mix well and season to taste with a pinch of sugar, lime juice, salt and ground black pepper. Season the chicken with salt and tandoori spices and grill all over, on an oiled grill or barbecue, for around 10 minutes. Heat the tortillas briefly on the grill. 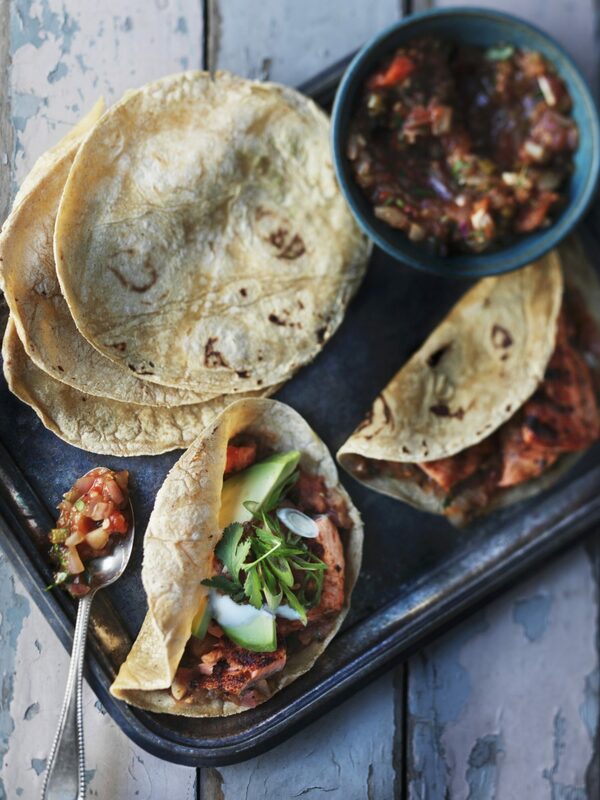 Cut the chicken into strips and arrange on the tortillas with a little of the salsa. Top with the spring onions, avocado and coriander, and garnish with a dollop of sour cream. Fold up and serve with the remaining salsa on the side.